Thimerosal is a mercury-based preservative used in vaccines and other medicines. Developed by the pharmaceutical company Eli Lilly in 1928, over the years Thimerosal has been used in a variety of medical products, including topical antiseptics, nasal sprays, eye drops, immune globulin products, and vaccines. What is the problem with Thimerosal? Thimerosal is about 50 percent ethyl mercury by weight. Thimerosal exposure has been linked to attention disorders, speech delays, language delays, Tourette Syndrome, misery disorder, seizures, epilepsy, Sudden Infant Death Syndrome, narcolepsy, heart disorders, neurological disorders, asthma and allergies. Over 165 peer-reviewed scientific studies show a link between Thimerosal and neurological injuries. Unfortunately, there’s a lot of misinformation about Thimerosal out there. It’s time to debunk the myths. Myth: My doctor says vaccines don’t contain mercury anymore—that the Thimerosal has been phased out. Fact: Thimerosal has not been removed from childhood vaccines. 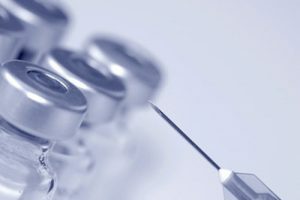 In 2001 the Institute of Medicine reviewed the use of thimerosal containing vaccines and neurodevelopmental disorders and recommended that thimerosal be removed from vaccines administered to sensitive populations. The Centers for Disease Control and Prevention’s Advisory Committee for Immunization Practices (ACIP) chose not to follow the recommendations of the Institute of Medicine. Today Thimerosal is still in approximately one third to one half of the flu vaccines produced annually and administered to pregnant women and infants (access the government’s list of Thimerosal-containing flu vaccines). 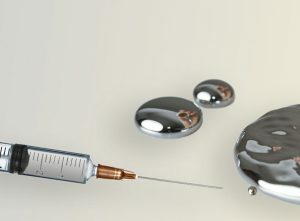 This means that the developing fetus, as well as babies as young as six months, are being exposed to mercury in vaccines. The CDC recommends flu shots for pregnant women, six-month olds, and children in every year of life. Pregnant women often instructed by their doctors to get two influenza vaccines if their pregnancy spans more than one flu season. Myth: Thimerosal was removed from childhood vaccines in 2003. Fact: Thimerosal wasn’t so much removed as it was moved around. 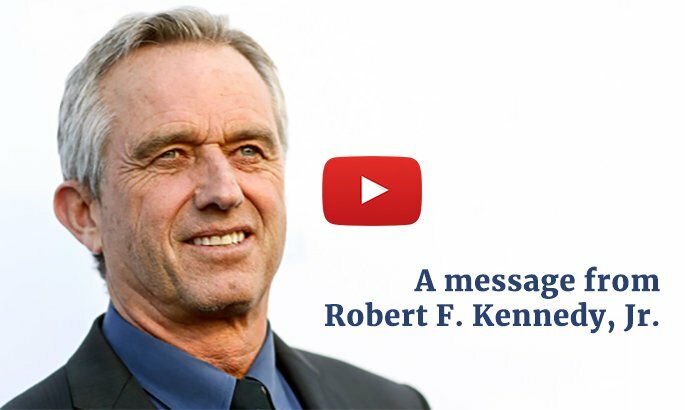 Here’s how it worked: In 1999, after realizing that the cumulative amount of mercury a child was exposed to via vaccines had never been tallied, the Public Health Service (PHS), the American Academy of Pediatrics (AAP), and vaccine manufacturers’ recommended Thimerosal be removal from all childhood vaccines. Thimerosal was then in three childhood vaccines: against diphtheria, pertussis, and tetanus (DTaP), against Haemophilus influenzae type B (Hib), and against hepatitis B. However, instead of requiring immediate removal, the CDC allowed the pharmaceutical companies to save money by using up their inventories of mercury-containing vaccines. By 2003, the industry had finally used up stocks of thimerosal-containing vaccines and Thimerosal is no longer used in these three vaccines. At the same time mercury was finally phased out of the DTaP, Hib and Hep B vaccine, the CDC added the mercury-containing flu vaccine to the childhood schedule. At that time, almost all flu vaccines contained 25 micrograms (mcgs) of mercury, recommended to children in every year of life. Myth: If the CDC still allows Thimerosal in vaccines given to pregnant women, then it must be safe. Fact: NO amount of mercury is safe for humans. Thimerosal-containing vaccines are especially unsafe for pregnant women. Mercury is one of the most toxic substances known to man. Studies have also shown that thimerosal causes debilitating brain injuries and miscarriages when pregnant women have been exposed to mercury (methyl and ethyl) from accidental poisonings. The FDA has never tested or approved thimerosal for use in pregnancy. Myth: But the ethyl mercury in Thimerosal is less toxic than the methyl mercury in fish. After all, humans can drink ethyl alcohol even though methyl alcohol is poisonous. Fact: The science shows that ethyl mercury is actually more toxic than methyl mercury. While this is a common argument, it is simply untrue. In order to exonerate thimerosal, its defenders sometimes parrot the debunked industry canard that “the ethyl mercury in thimerosal is less persistent in the body and therefore less toxic than methyl mercury in fish.” However, they cannot cite a single published scientific study to support this position. That’s because the science says the opposite. Ethyl mercury is 50 times more toxic than methyl mercury (Guzzi et al, 2012) and twice as persistent in the brain (Burbacher et al, 2005). Myth: The dose makes the poison. There’s only a “trace amount” of mercury in the flu vaccine, which is too small to cause harm. Fact: The term “trace amounts” means less than 1 microgram (mcg). Thimerosal-containing flu shots contain what in biochemical terms is actually a massive dose of mercury: 25 mcg. Why do I call that massive? Because the Environmental Protection Agency’s maximum exposure limits for methyl mercury is .1 microgram per 1 kilogram of bodyweight, which means a baby would have to weigh 550 pounds to safely absorb 25 micrograms of mercury. At these levels, a growing fetus in a mother receiving the flu shot could get up to a million times the EPA’s safe levels. Myth: A trace amount of Thimerosal would not be harmful. Fact: There is no known safe exposure level to mercury. Even if the flu shot contained only 1 microgram, it would still be double the amount deemed safe by EPA for a nine-pound baby. Furthermore, the ethyl mercury in vaccines is fifty times more toxic and twice as persistent in the brain as the methyl mercury in fish for which EPA established those standards. Myth: My doctor can’t get me a Thimerosal-free flu vaccine. Fact: Flu vaccines without mercury are widely available. Even though doctors continue to use multi-dose flu vaccines that contain Thimerosal, Thimerosal-free flu vaccines are available. People receiving flu vaccines should be able to request and receive Thimerosal-free vaccines. Unfortunately, some doctors insist that it is too inconvenient or too expensive to order Thimerosal-free vaccines. If your doctor refuses to give you a Thimerosal-free vaccine, find a different doctor. Myth: It’s too difficult to remove Thimerosal from vaccines. Fact: Thimerosal can be easily removed from vaccines. Thimerosal was quickly and easily removed from the three childhood vaccines in the United States shortly after the CDC requested its removal. Most European nations have also banned Thimerosal without any noticeable impact on vaccine cost or supply. Myth: Epidemiological studies prove that Thimerosal was not a cause of brain damage or health problems in children. Fact: Despite seriously flawed scientific studies designed to exonerate Thimerosal, there is ample epidemiological and clinical data showing it is toxic to children’s brains. The EPA says that epidemics in a broad inventory of neurodevelopmental injuries began in 1989, the same year that the CDC vaccine division increased mercury exposures to American children from 70 µg to 570 µg. The EPA calls 1989 “The Gateway Year.” According to the CDC, one in every six American children now suffers from neurodevelopmental disorders. We literally have hundreds of studies, like this one, this one, this one, and this one. No one who actually takes the time to examine the scientific literature can rationally conclude that mercury in any form is safe for humans. 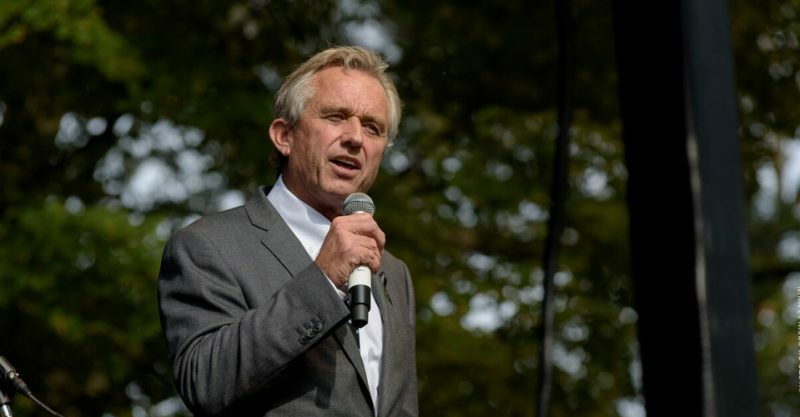 Myth: The government has never admitted that Thimerosal-containing vaccines cause autism. Fact: In 2008 top public health officials at HHS conceded that vaccines caused autism. In 2008 the family of eight-year-old Hannah Polling was compensated for autism due to vaccine injury. Since Hannah’s father was himself a doctor and her mother a nurse and a lawyer, this case garnered an unusual amount of attention. The government’s expert, Dr. Andrew Zimmerman, said that the vaccines had caused a metabolic overload that triggered Hannah’s autism. The court ordered Hannah’s medical records and details about the case to be sealed. However, the United States government has awarded hundreds of millions of dollars to dozens of other vaccine-injured children with autism diagnoses, as detailed in this article published in the Pace Environmental Law Review. As much as vested interests and government agencies that defend them spin false yarns, we all know that mercury is harming our planet and our children’s brains and bodies. As parents, environmental activists, and concerned citizens, we must demand the permanent removal of mercury from all vaccines.